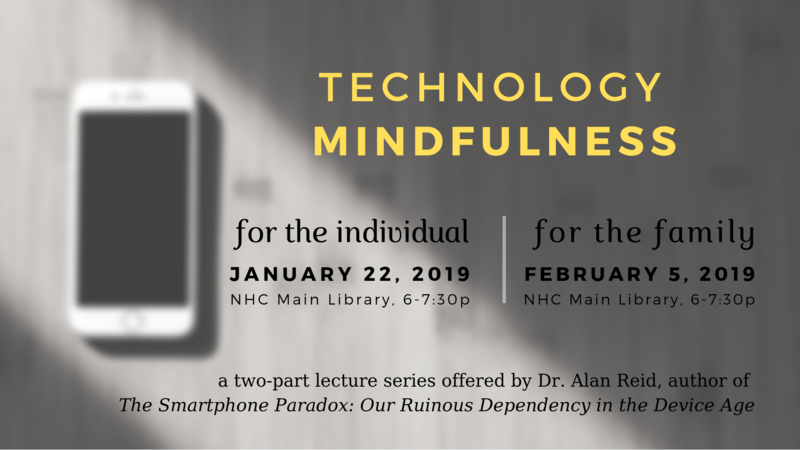 Technology Mindfulness for the Family is the second of two programs with Alan Reid, highlighting ways in which our devices compromise our relationships, emotions, and cognition. These discussion-based sessions explore how simple mindfulness strategies can empower our use of personal technologies. Alan J. Reid, Ph.D. is an author and researcher whose work critically examines our technological habits. His latest book is The Smartphone Paradox: Our Ruinous Dependency in the Device Age. This is a free Library program and no registration is needed to attend.